The Family Table with Genevieve: What to do in Winter?!?! Hooray for Wednesday!!! So we are more than halfway through January, which can be a long month! Here in the Northeast the winter months can drag on..... and we can run out of ideas to keep busy until warmer weather comes. There is no need to hibernate for months....get out there and make the best of your winter! 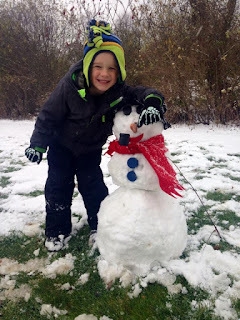 I thought I would share a few things to do during these colder, darker months! ...find a local rink.....indoor or outdoor. Most usually offer skate rentals and some have walkers to help new skaters out on the ice. Kid tip- if you have a little girl skating for the first time, rent her hockey skates,not figure skates...much easier to learn in. Bundle up and get out to a local trail and explore. You can usually see different things when the trees are bare. It's a new way to look at the same trail you might walk in the summer. If you are not one for being out in the cold in winter,well the Northeast may not be for you! HA! Here are a few indoor ideas for you. 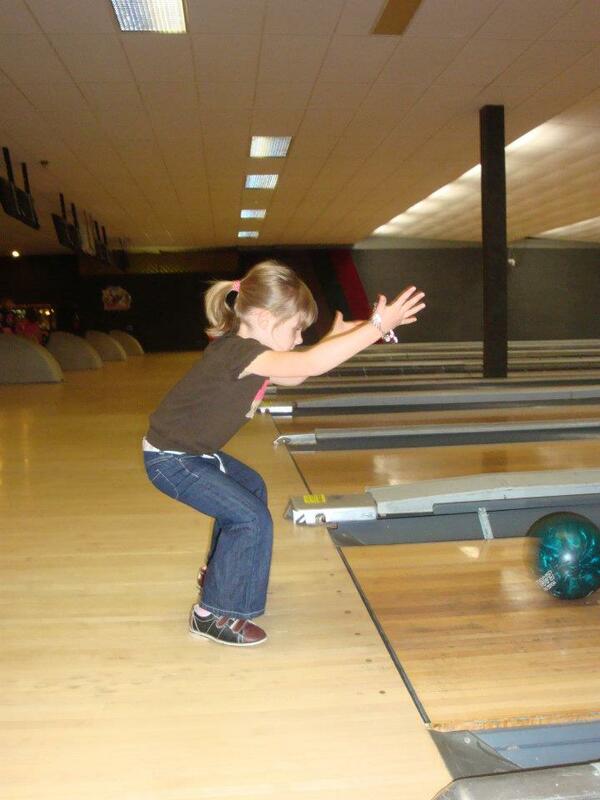 Who doesn't love putting on those fancy bowling shoes??? Bowling with kids is so fun. It's funny to watch them surprise themselves when they actually knock down the pins! This was Ella a few years ago...she has her own form! I have done this a few times with my two. I don't get too complicated.. I just make cupcakes from a box mix, bag some frosting and give them a bunch of random things to decorate with. Give them a theme, a time frame... and see what they come up with. This was some from our Halloween themed war. A Valentines theme or a winter scene would be fun this time of year! If you don't want to deal with cupcakes and the mess they sometimes bring, host Drawing Wars. E & L love this too. Pick a theme and give the kids a time limit to draw something in that theme. Let them present it to you and share why they drew what they did. They love when I act just like a judge from the Food Network! Plan a fancy dinner for the family. Maybe it's going out to a nice restaurant, or maybe making something fancy at home. If you are eating at home.. light candles, use the "good dishes"...make it special. Last year the kids made their own fancy dinner... they brought random house accessories to the table to decorate it. Ella wore her flower girl dress, and Luke "popped"his collar! Go out... get dressed up...bring your daughters flowers. Everyone loves a night to feel special! I'm not sure about you, but I really don't take full advantage of the local museums we have. These cold months are the perfect time to explore history, science,art or whatever else your city has to offer. For those local, Albright Knox Art Museum has free admission to certain parts of the museum offered the first Friday of every month. A fun way to spend a Friday night with the family! Plan a dinner around a fun theme. Maybe a favorite movie or a special place. Let everybody give some input and think of food ideas that center around your theme! Have the kids make decorations or placemats that go along with it too. Make up fun names for the food too!!! Sometimes it's fun to just get away for a night. Even if it is still in town or just an hour away! During off seasons you can usually score a pretty good rate. I like to find a hotel with an indoor pool option...the kids think they have died and gone to heaven to swim in the winter! I guess we try to keep busy and make the most of the winter nights. It's too easy to curl up and hide until Spring! What do you guys do for Winter fun? I would love to hear from you... drop your thoughts in the comments below. Have a great Wednesday friends....see you on Friday for Friday favorites....there's always room for one more at our family table.